Many of us seek medical treatment for a range of different injuries and ailments throughout our lifetime, and for the most part, everything goes as well as can be expected. However, sometimes mistakes are made and the treatment we receive is not to the standards we’d expect. Worse still, in some cases, negligent treatment by a medical professional/s can leave us with ongoing issues with our health, leading to both pain and suffering as well as financial loss. If this is the case for you, seeking a Rotherham solicitor could be what you need to do in order to be compensated for the problems you’ve had. When it comes to the question ‘when is a doctor negligent?’ the answer lies in whether they have breached their duty to care for you in the correct manner. This could be by their actions or inaction relating to your health issues or injury. Finding the best Rotherham solicitors that suit your case can be complicated. Whether you take friends and family recommendations or pick the first number you see online, you may feel that you are in over your head. 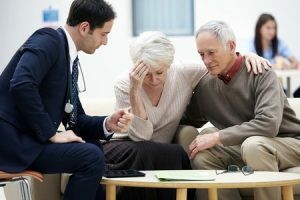 Not many of us know are well-versed in taking legal action against others, and there are a number of terms relating to medical negligence cases that may be unfamiliar and confusing. There are a variety of questions you are likely to have about taking a case forward, which is why you may seek Rotherham solicitors’ free advice. It may come as a surprise to you that you can gain free advice without receiving a big legal bill, but here at Legal Expert, we will happily connect you with a solicitor who can do just that. When completing a simple Google search for solicitors in Rotherham reviews, you may find several that look promising. However, it is important to remember that whether they have received good reviews on certain types of cases, they may not have handled one in your specific niche. This is why talking to Legal experts can help., They will have more information about the specific solicitors than you would find in a usual search and may be able to give you the information you need to make a decision on a Rotherham solicitor that is right for you. Do you need to use a local solicitor? Once upon a time, it was a logistical requirement to have a solicitor close by if you needed to take any kind of legal action. Now, however, with the advancements in technology, the world has been made much smaller in some ways, and it is entirely possible to work with a solicitor that does not practice in your town. However, some people prefer to keep it local, which is why you might like to know that we have a Rotherham medical negligence team that will be able to help you. Medical negligence solicitors in Rotherham cover a wide range of different types of cases. Whether you are seeking NHS accident compensation or wish to take action against a private practice or hospital, Legal Expert can help. Some of the different types of cases we can help with can be broken down into certain categories, but we are not limited to what type of cases we can assist with, so if you do not see your type of case below, please do not hesitate to call us to discuss your specifics. Whether you have entered the hospital for a routine operation or procedure, seen a consultant about a health issue or been brought into the hospital for urgent treatment, you expect to feel better once you have been treated. Whether you have suffered a misdiagnosis or delayed diagnosis that has led to worsening health issues or suffered surgical problems due to negligence care, it is important that you are compensated for this breach to the hospital’s duty to care for you. There are a great many different reasons that you might be looking to pursue a Rotherham hospital claim, whether it is for an infection from poor hygiene within the hospital or from a surgical procedure that has gone wrong. Legal Expert can help you with hospital negligence advice and help you make a claim, not just so you are financially compensated, but so the hospitalise aware of the medical negligence breach of duty to you and can take action to prevent it happening to others. We all would like a nice healthy smile and our dentists are supposed to give us the correct advice and treatment to help us with good oral health. If, however, you have been left in pain or with worsening oral health due to the negligence of your dentist, we could help you claim dental negligence compensation. This could help you pay for treatment to get the damage repaired or even to cover the costs of having to have time off work due to treatment/pain. We can help you take action against both NHS and private practices. It is likely that you will visit the GP at least a few times during your years with the practice, whether for general check-ups or for health issues you have been suffering with. If you are wondering when is a doctor negligent, you may like to know that the doctor negligence definition can cover a number of different issues, from misdiagnoses to late diagnoses, as well as covering failure to spot signs of illness that should have been acted upon quickly to ensure your good health. Our Rotherham medical negligence team will answer any questions or help start a claim if you are ready. We have all seen the information concerning the importance of quick diagnosis for most cancers. The earlier cancer is spotted, then the earlier it can be dealt with and the better prognosis for the patient. If the signs of cancer are missed when they should not have been, or treatment is not delivered effectively, then this can have far reaching effects on the patient, and could even lead to patient death. If you have suffered a missed diagnosis of cancer or perhaps been given the wrong treatment, please do not hesitate to call Legal expert, who can speak to you about your claim. Bedsore compensation – if someone you care about, or even yourself has suffered bedsores from negligent care, then you may have a case for compensation. Slip and fall – If the person concerned has been injured due to a slip or fall at a care home or nursing home when they should have been supervised, or even if there were trip hazards, then this can be classed as negligence. Failure to care for the patient correctly – If the primary care needs of a person are not met by the persons charged with their care, then a claim could follow. This is, of course, not an exhaustive list. If you or someone you care about has been subjected to negligent care, then it may be a good idea to have a chat with our experts. Birth injury claims can be complex, as there are a huge number of things that can go wrong while a woman is in labour. From shoulder problems due to negligence in childbirth to failure to spot the signs of fetal distress, leading to cerebral palsy or even death, childbirth negligence claims can be traumatic, and it is wise to have someone experienced in the field to help handle your claim. It is not only the child that can be endangered or harmed due to negligence. From a failure to properly manage pre-eclampsia to tears that should not have occurred, there are many to consequences to negligence in childbirth and some of them last a long time after the birth, both physically and mentally. We can help take the strain away from making a compensation claim for negligent care in childbirth, allowing you to move on without any financial burden that has been caused to you as a result. NHS negligence happens across the country, but to put this into perspective, we have compiled a table for you showing the medical negligence that happened in Rotherham NHS Foundation Trust as well as some other Trusts locally. Please do remember that this only covers the NHS figures, but you can also take action against private entities also. While many people assume taking legal action against the NHS or private practices will cost a lot of money, this is not usually the case. With No Win No Fee claims, you will not have to put up any money upfront before you pursue a case and if it does not result in compensation, then you won’t have to pay legal bills at the end either. The agreement you enter into will be clear and detail how your solicitor will be paid, out of the compensation you receive – allowing you to go forward with a claim without upfront fees. If you feel ready after reading this to pursue a claim for compensation, or even if you have more questions about what is involved, then contacting Legal Expert is a good idea. Our experts will be able to provide professional advice about your specific case and will be able to provide a solicitor that will be experienced in this area of the law, and can help take your case forward, allowing you to claim the compensation you deserve. Our telephone number 0800 073 8804 is staffed by legally trained experts who can answer queries or get your claim started. There’s no better time to call than now. If you would like to read more before contacting us, then do not hesitate to click on the link above, which leads to our guide on negligence claims. NHS services in your locality can be found on the NHS site. The logged data for NHS incidents and negligence cases can be found here.